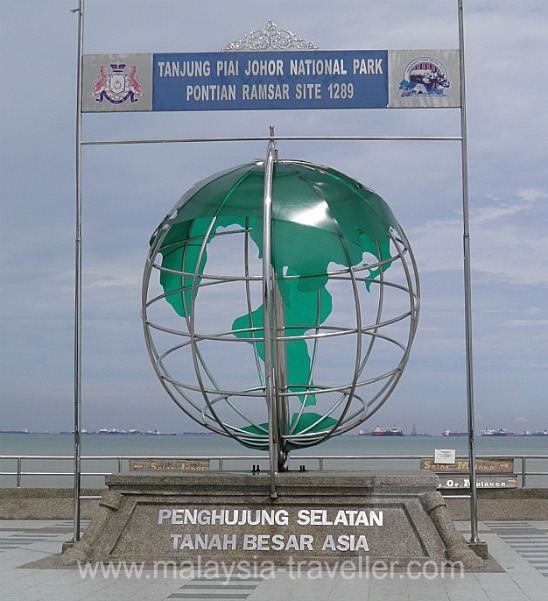 Tanjung Piai Johor National Park's claim to fame is that it is the southern most tip of Peninsular Malaysia, and therefore as far south as you can go on the continent of Asia (or Eurasia). Another way to look at it is that, for the time you are standing on the southern edge of the platform, you are further south than every other person on the mainland of Asia. How cool is that? 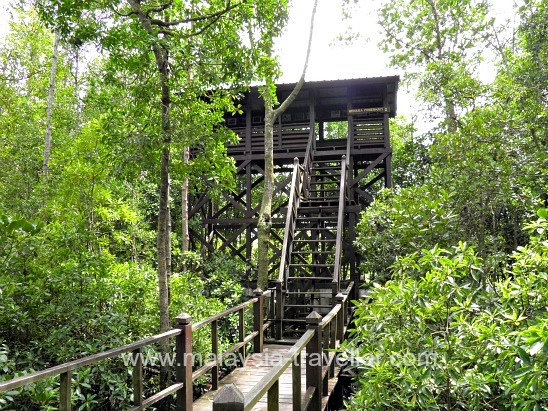 This headland is located in a national park made up mostly of mangrove and mudflats. 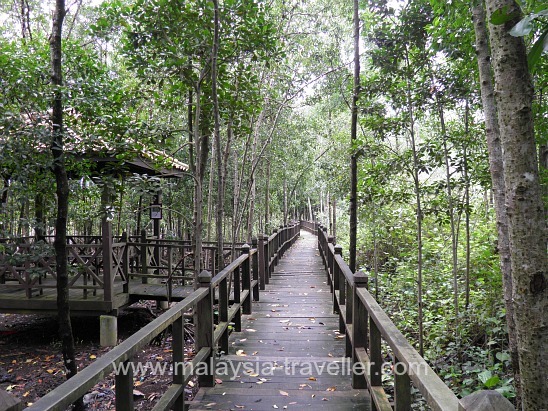 The national park covers 926 hectares but the area accessible to the public is fairly small and visitors are required to stick to the wooden boardwalks and not try to walk in the swampy mudflats. 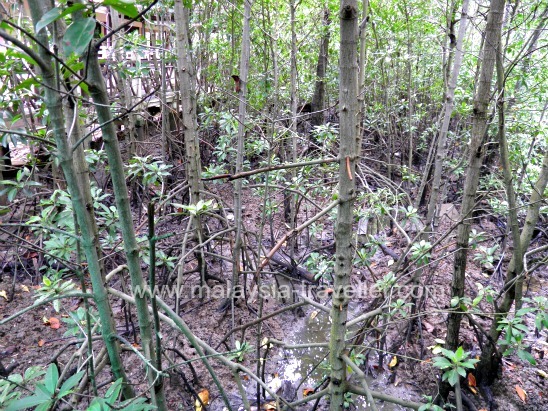 The network of boardwalks passes through dense mangrove forest and visitors can observe the mudskippers, crabs, lizards and cockles squelching about on the grey mud below. Seagulls and migratory birds frequent the park which is home to a population of long-tailed macaques and dusky leaf monkeys. There are a number of viewing platforms and observation towers for bird watchers and nature lovers to obtain a better view. The park closes at 5pm but night walks and firefly trails can be organized by prior arrangement. Information boards provide details of some of the flora and fauna found here such as the aptly named Pong Pong plant (cerbera odulum), an associated mangrove species whose fruits serve as an effective rat repellent due to their smelly odour. The boardwalk emerges from the forest and visitors make their way to the southernmost point where a concrete jetty provides a view out to sea where lines of supertankers and other vessels are queuing up to enter Singapore via the Johor Strait, one of the world's busiest shipping lanes. A globe shaped monument and plaque mark the southernmost point. 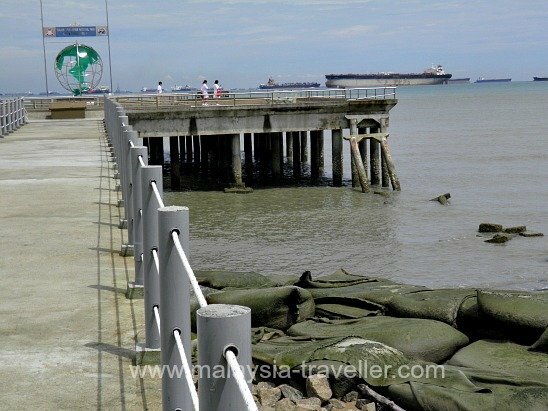 Being in an exposed position, the jetty is prone to storm damage which last happened at the end of 2012. Open 9am - 5pm. Closed on Mondays. 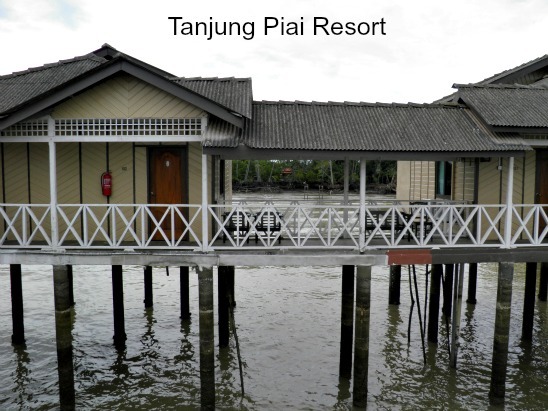 There is a resort hotel nearby called the Tanjung Piai Resort built on stilts above the sea. 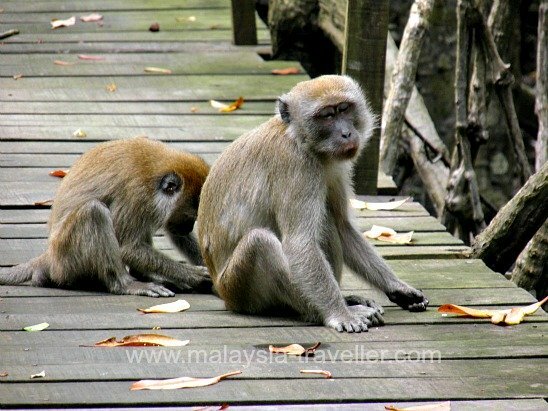 For reviews of other Malaysian National Parks click here.